Your nighttime bus takes you on the most important ride of your 24h day, this trip is like your ultimate free spa experience: detoxifying, healing and rejuvenating! Whether your daily routine includes taking the bus, or even if you never travel on public transport at all, making sure you catch your nighttime spa bus can be a critical piece to your health and well-being. Getting on this bus you prepare for feeling fit and energetic the next day as well as keeping your body systems balanced and in good shape for the long run. So are you catching your nighttime spa bus? You may not have been told that it’s coming to pick you up and so you might be missing it. I know I did for a very long time until I learned how to catch it. It was quite a revelation to me and I’m happy to share it with you because I don’t think anyone should miss out on a regular free spa trip. You probably intuitively know that we have an inner clock, we also call it the body clock (when we change to summer time in March, the extra hour of daylight can already mess with our body clock for a while). The body clock, or more precisely our circadian rhythm, is a natural cycle that tells our bodies when to rise, to eat, to sleep and to wind down – regulating many physiological processes. Our body clock is very sensitive to environmental cues like (sun) light and temperature. When our body is in balance (and we don’t manipulate the environment to send the wrong signals, a little more on this in a moment), we do find ourselves winding down and getting tired in the evenings. And of course the moment that the nighttime spa bus signals its arrival can differ from person to person. So how do you know if your spa bus is about to stop for picking you up? Closely watch your bodies signals, it might be yawning, eyes feeling heavy or tired, maybe you feel like rubbing your eyes, maybe you feel like taking a little break on the sofa. Tune into these signals, this is your bus flashing the lights or even honking the horn. It might feel very inconvenient when your bus arrives at 9:30 pm because you still have so much to do. Now you might think: “It’s just a little evening dip, as soon as I’m over it, I get a second wind and can stay up for a few more hours.” This is a very true observation and I know exactly what it feels like. The thing is, this second wind is exactly the energy that we need for our nightly spa to be effective. This is the energy we need to detoxify, heal and rejuvenate the body. So guess what happens when you miss your spa bus: it’s a double whammy because the next bus won’t be coming for a while and it won’t be one of the ‘spa’ type busses anymore because you’ve just used up that energy. I would like to encourage you to honour the moment when your nighttime spa bus signals its arrival. Set the intention to watch for it tonight. When it’s there, ask yourself ‘What am I going to prioritise right now?’ Will you prioritise collapsing on the sofa scrolling Facebook or watching a (thrilling) movie? Or maybe opening up your laptop to just finish something you did not get done at work today? Or reading and responding to private emails? Or will you prioritise your free spa trip and give your body what it really needs: time and energy! to detoxify, heal and rejuvenate? 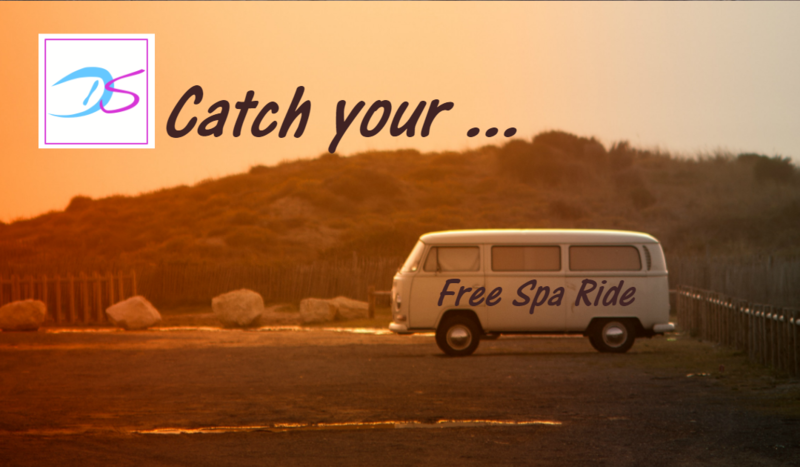 I’d love to hear about your thoughts and experiences with catching your spa bus and if you feel any of your friends could benefit from their free spa ride at night, please don’t hesitate to share this info. PS: If you have problems falling asleep or your spa bus seems to only ever arrive after midnight and then you still wake up several times a night, it doesn’t mean that you have a faulty bus. It’s more likely that your body is exposed to manipulated environmental cues like the wrong kind of light at the wrong time or that your cortisol rhythm is out of sync. Check out this post to find out how to tune your bus optimally for your ultimate spa experience.